A brief chat with a family business stakeholder. Kyle York and his four brothers were born into the family business. His maternal grandfather began Indian Head Shoe Company in Manchester, N.H., in 1946, and his parents, Don and Gail, took over full-time in 1980. The business changed its name to Indian Head Athletics and shifted from a shoe manufacturing company to a community sporting-goods hub. Now, Kyle and his brothers—Travis, Evan, Tyler, and Dylan—are setting out to turn Indian Head into a scalable fashion and lifestyle brand that pays homage to its sports heritage and family history. Family Business: What was it like growing up as part of the family business? Were you and your brothers all involved from a young age? Kyle York: We knew the legacy of the business, even as kids. We grew up working in retail and helping with screen printing. We all developed this very blue-collar work ethic from our father and a sense of personal ethics and business integrity from our mother. With five sons, running a sporting-goods company was a nice fit and we were all very competitive. FB: But you and your brothers all went on to pursue different careers. You are now the chief revenue officer for DYN. Can you talk a little bit about your career path? KY: My whole life, people would say to me, "So, which one of you is going to take over Indian Head?" It was almost like this feeling of obligation. But, my parents never pushed it on us. The family basically said, "Indian Head has given you all the foundational lessons you need to be successful in your career, so go be successful in your career." That's really where the brothers have focused for the last 15 or so years. We've been building our careers and thinking about the family business as that foundation. FB: How will you and your brothers be involved with Indian Head moving forward? KY: Over the years, my brothers and I always kind of talked about how much of a shame it would if Indian Head as a heritage brand didn't carry on in some capacity. We always had the idea that we would reinvent Indian Head as a lifestyle fashion brand inspired by sport. We're getting more into business planning right now. We are fully engaged in it and we have tons of resources behind us. FB: How do you plan on getting the new Indian Head off the ground? KY: The idea is to actually license the brand from our parents to help give them a residual income in retirement. It's about making sure that we help support them over the next few years as well as set up a business for the next generation that we believe is more long-term and sustainable. We're working with Mark and Elizabeth McGarry, a husband-and-wife marketing team. Elizabeth used to run creative for Perry Ellis, Nordstrom and Nike and knows product design and manufacturing. Mark has experience in business and marketing and distribution. If you combine that type of world-class talent with the five brothers who work in branding and advertising and ecommerce and video and data and sales, we think there is an absolutely phenomenal story. FB: Do you have a leadership structure in place for the new Indian Head? KY: As of right now, the five brothers are equal owners. It's a family business—we all work there, we've all been a part of it growing up—so we're trying to make everything equal. We've also brought in five founding advisers. They are people that are close in our networks that work in marketing, branding, fashion and ecommerce. FB: How do your parents feel about the direction you're planning for Indian Head? KY: They're excited, but in their own unique ways. My mom started crying when she heard about it. She started pulling out every bit of research and memorabilia. She's been incredibly engaged in helping us look into the back history. I think they both have a little bit of shock and awe in their kids' ambitions and aspirations. They are both extremely supportive, and humbled and flattered by it. I give my parents an unbelievable amount of credit. For them, their kids are their legacy. That's one of the reasons why we are so passionate about Indian Head. We are going to invest appropriately, build a team and take our time to make sure it works. 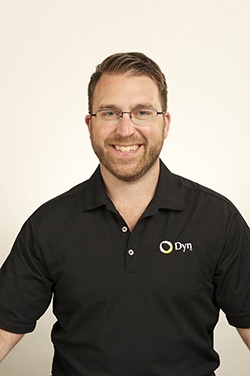 Kyle York is chief revenue officer at DYN, an Internet technology company that specializes in traffic management, message management, and performance assurance. He will be a speaker at Transitions East 2014 in Tampa Bay, Fla., taking place March 26-28.